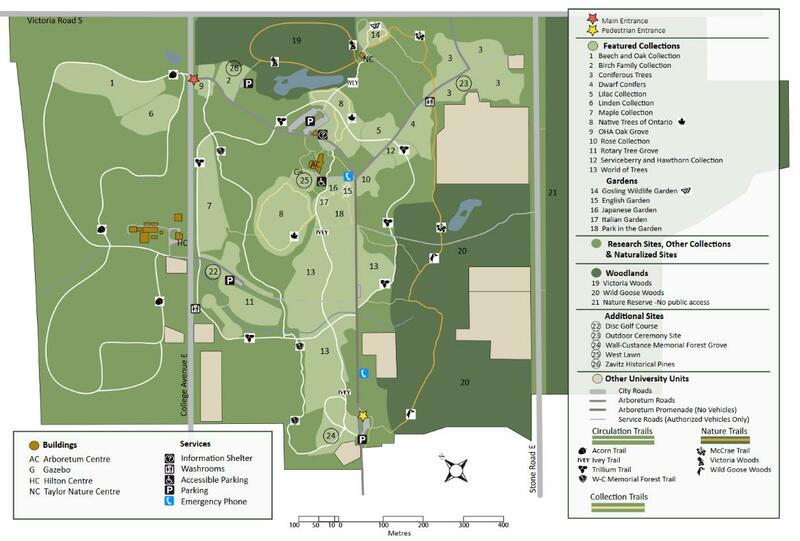 Since 1971, we have been developing The University of Guelph Arboretum from open farm fields to a dense tapestry of naturalized and formal botanical collections, restored woodlands, interpretive gardens, and research plots. The goals of conservation, research, horticultural display and public engagement have guided the evolution of this 165 hectare refuge. The links above allow us to share our information in an easy and accessible way - to help you locate trails or dedication features, search for species, and become familiar with the history and layout of the site. Please browse, explore, and enjoy.